Paramount Pictures has released the official poster for Instant Family, the heartwarming comedy starring Mark Wahlberg (All the Money in the World) and Rose Byrne (Spy, X-Men: Apocalypse). The film follows a couple who decide to adopt, only to realize they may have bitten off more than they can chew. You can check out the full poster in the gallery below! When a couple decides to start a family, they are inspired to pursue adoption through the foster care system. They feel like wonderful, altruistic people until they suddenly have three wild kids in their home. Now they must learn to love and parent children who have no interest in being parented in this heartwarming comedy. Octavia Spencer (The Shape of Water, Hidden Figures) joined the cast in February, along with Tig Notaro (One Mississippi, In a World…), Isabela Moner (Transformers: The Last Night, Nut Job 2: Nutty By Nature) and Iliza Shlesinger (Paradise, Forever 31). Moner will play one of the foster kids. The others are played by newcomers Gustavo Quiroz and Julianna Gamiz. 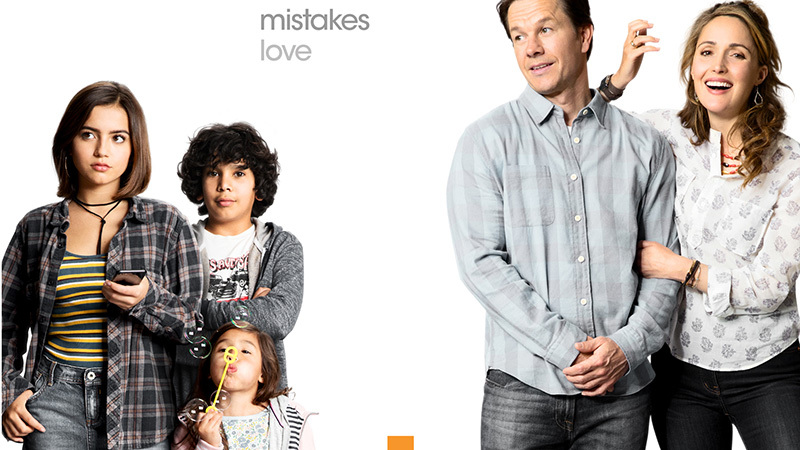 Instant Family will be directed by Sean Anders (Daddy’s Home) from a script Anders wrote with John Morris. The film is produced by Anders, Wahlberg and Steve Levinson. The film will hit theaters on November 16. The post Instant Family Poster: Chaos, Laughter, Mistakes & Love appeared first on ComingSoon.net.